As gun violence continues to plague some of Chicago&apos;s neighborhoods, a violence prevention program is looking to tackle the issue by treating it like a public health crisis. Chicago&apos;s murder rate is below that of other cities, but the actual number of murders in the city last year — most from gun violence — exceeded the combined total of murders in New York City and Los Angeles. He says there&apos;s a reason why some neighborhoods are plagued by gun violence. "The definition of contagious is it produces more of itself, and how much you&apos;ve been exposed is the predictor of whether you&apos;re likely to do it," he says. "So this is a health problem." He&apos;s on a panel of people who came to speak to state lawmakers about the impact of Cure Violence and CeaseFire. But in 2013, the city of Chicago did not renew a million dollar grant to Cease Fire. Some officials claimed the program didn&apos;t work closely enough with police. Others disliked that many of the violence interrupters were former criminals. During that hearing before state lawmakers, Andre Thomas said his experience makes him credible. 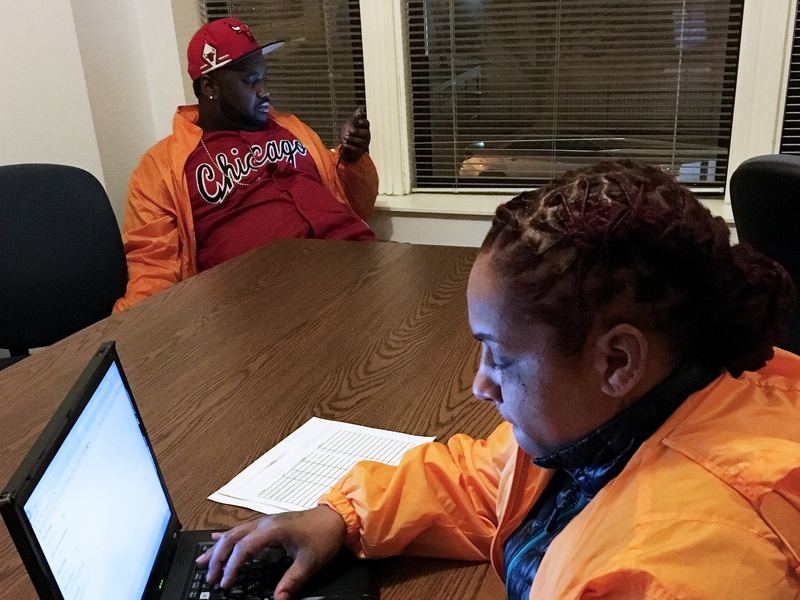 On the streets of Chicago&apos;s South Side, Jerusha Hodge is wearing an orange CeaseFire jacket. Years ago, she lost a 9-year-old daughter to gun violence. She is one of six CeaseFire employees working to curtail violence in three sprawling South Side neighborhoods. "Oh, we are stretched," she says. "Six people for three different communities. That&apos;s not enough." "In 2016, we saw shootings in the areas that the Crisis Management System Cure Violence is operating go down by 10 percent," he says. "We&apos;re seeing young people in the areas where the Cure Violence model is operating even less likely to revert to violence to solve conflict," he says. New York is currently investing $25 million in its Cure Violence efforts. Javier Lopez, the city&apos;s assistant health commissioner, says police recognize the partnership between the public health workers and criminal justice, "and I think there&apos;s been growing understandings between both of those worlds," he says. In Chicago, it&apos;s an understanding that supporters of Cure Violence and CeaseFire say must also play a greater role here in reducing the deadly trend of gun violence infecting some neighborhoods.